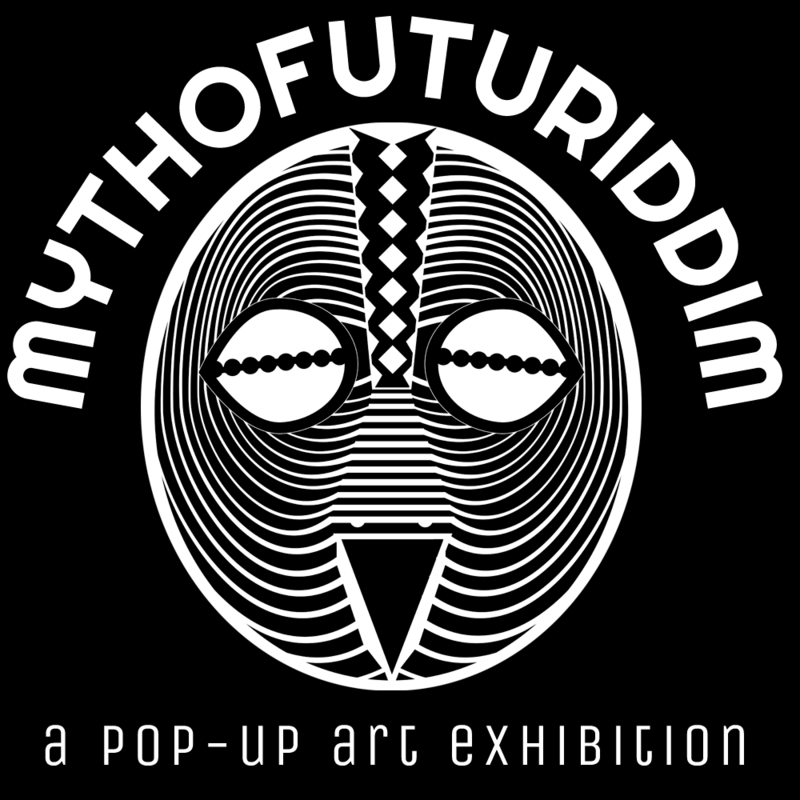 MythoFutuRiddim is a self-funded pop-up exhibition featuring emerging artists who explore ritual, cultural mythology, afrofuturism and constructed identity. On July 7, our Indiegogo campaign closed. Thanks to all our generous patrons. Please contact us on Instagram, Twitter or Email if you’d still like to become a patron. We are hoping to raise $4,000 to cover the expense of curating, promoting, funding, and hosting our exhibition. Our goal is to build a sustainable yet profitable creative career model by promoting self-funded exhibitions that develop direct connections between emerging artists and emerging collectors. Raised in the South Bronx, Bree Person is a double-major in Anthropology and Media Society at Purchase College. Using her lifelong passion for Art and construction, Bree has taught herself to build the things she wants to see and experience. At MythoFutuRiddim, Bree will be displaying an installation titled “Urban Renewal”, a piece that will bring awareness to individuals living in the city projects who are disenfranchised and socially stigmatized. 1) Audio- a crowdsourced audio composition of women telling the story of the first time they got their hair braided. 2) Visual- a textile creation comprised of gauze as a metaphor for healing. The performance is over when my hair is 'did'. Hair Did has been presented at the 5th Annual Black Artstory Month, The Altar: Rituals of Healing In The African Diaspora. mythofuturiddim is for the kids! On Saturday morning from 9:30 AM - 12 PM, the gallery will be made available to parents with children between the ages of 2yrs - 12yrs for a special children's tour and Design Gym. Children will be given a curator led tour through the exhibition, followed by an activity time where children will be allowed to create, display and discuss their works of Art. Using examples from the exhibition, attention will be given to how Basic Elements of Design (Line, Shape, + Space) have been employed to create the work featured in the exhibition. From 4 PM until 6 PM participating artists will give ten-minute lightning talks about the foundational concepts of their art practice. After the presentations, there will be an open public discussion around how the concepts of mythology, futurism, and riddim/music influence the making of art. The possible has been tried and failed. Now it's time to try the impossible.